Ladies who shoot their lunch Shiraz 2009 is produced by Fowles Wine. The vineyards and winery are located in the Strathbogie Ranges region of Victoria, Australia, located 130 kilometres north of Melbourne. The ranges are characterized by large granite boulders giving rise to the sandy loam on which the vineyards grow rising to over 500 metres above sea level. 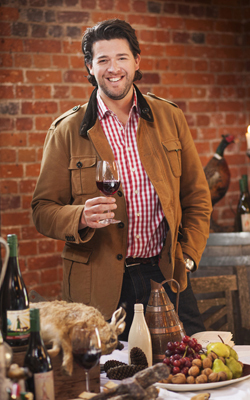 Fowles Wine is led by Matt Fowles, with Chief Winemaker Victor Nash heading up the winemaking team. The area has a cool climate, but with good summer sunshine. A January mean temperature of 19.5ºC and typically cloudless days and cool evenings in the growing season allowing fruit to gradually ripen over a long period of time, accumulating intense flavour and colour. The lower rainfall (average annual rainfall is 700mm) and quick draining soils mean the vines have dry feet (vines don’t like their roots constantly soaked) and as a result produce low yielding, flavourful fruit. 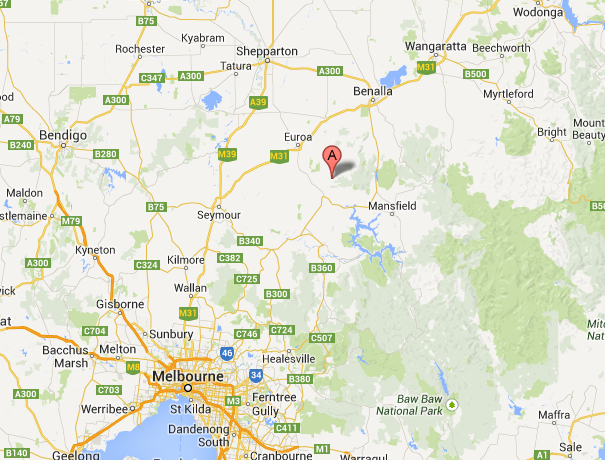 Harvest in the Strathbogie Ranges generally occurs from late February through to early May. The region could well be the kindest cool climate region in South Eastern Australia. In the coolness of spring the vines produce only small berries. The months that follow consistently offer low rainfall, cloudless skies and intense summer sun, giving rise to fruit that is dense in colour and flavour. An almost constant wind whistles through the vines ensuring good air circulation in the grapes which reduces the risk of frost damage in early spring and mildew in summer. The undulating nature of the vineyards means that the vines experience slightly different micro climates and sunlight exposure which can affect their character, allowing the winery to pick across a spectrum of ripeness and flavour profiles. According to Matt Fowles, Ladies Who Shoot their Lunch is the world's first wine to be blended to complement wild game meat.The wine is fermented in stainless steel and matured using a combination old and new and big and small English and French oak. One third of the wine matured in 140 year old 5000L English oak casks. Another third was matured in one, two, and three old French oak hogsheads and puncheons. The remaining third was maintained as a fresh, fruity parcel in stainless steel. The wine is a deep purple with strong colour intensity. It displays strong, intense fruit with hints of spice and pepper and plenty of complexity on the palate, yet it is silky smooth despite the complexity of flavour. A strong sense of oaky, smokey tannins linger on the palate. A great silky smooth wine that I really love. Power in a velvet glove.